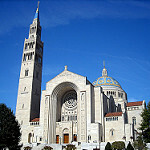 A time-honored spiritual practice of the Diocese of Brooklyn/Queens is a pilgrimage to the Basilica of the National Shrine of the Immaculate Conception. The very first pilgrimage to the national basilica (also known as America’s Catholic Church) was in 1927. Details pending.